Kai-Uwe Barthel teaches courses on image processing, computer vision, visual information retrieval and machine learning. He is the founder of the visual image search company Pixolution. 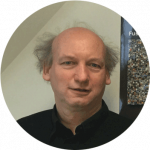 His main research topics include automatic keywording of images, the development of visual image navigation systems, content-based image retrieval, visual image sorting and semantic image search. 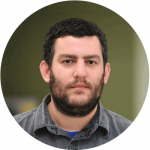 With a background in software engineering, Asaf Bartov maintains numerous Wikimedia tools and helps the Wikimedia movement grow in developing countries. He advocates open access and linked data. 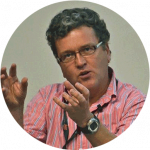 His keynote presentation will focus on the possibilities of the latest major wiki project Wikidata. Prof Graeme Earl has a particular interest in the connections between cultural heritage, computer science and engineering. Currently his research and teaching are focused on digital imaging, accessibility, design, and journeys between open scholarship resources. Much of this work focuses on Portus, the port of Imperial Rome. Indrek Ibrus’s research field is media studies with a special focus on the phenomena and processes of media innovation, cross-media production, the evolution of cross-platform and ubiquitous web and the broader evolution of modern ‘creative industries’. His newest focus is on the curation of cultural memory via economic, technical and cultural management of audiovisual heritage digitization processes. 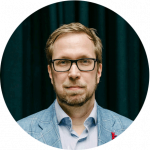 Leif Isaksen is project director of the Pelagios Commons, which provides online resources and a community forum for using open data methods to link and explore historical places. 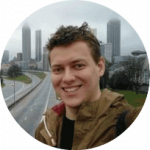 Leif has a particular interest in geospatial analysis and Web technologies and the Ancient World. 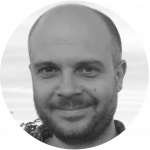 He has carried out research on spatial visualization of online corpora, linking open data about the past, and the deconstruction of Ptolemy’s Geography and the Roman Itineraries. Dolly Jørgensen’s research spans from medieval to contemporary environmental issues. Her primary areas of interest are human-animal relations, the urban environment, ecological restoration and environmental policymaking. She explores how human technologies shape the world around us and how we come to understand what is “natural” and what is not. At this conference she will focus on knowing nature through online collections and the practice of blogging as a research tool. Andres Kimber’s research focuses on landscape use and reconstruction by applying GIS-based and quantitative methods. 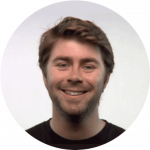 He has extensively employed photogrammetry for 3D documentation of archaeological sites. He is also interested in the possibilities of LiDAR data manipulation for analysis and landscape reconstruction; Imaging Spectroscopy and historical aerial imagery. Liina Lindström’s field of research covers culture and society, philology and linguistics. She is especially interested in syntax, oral speech, language variation and the Estonian dialects. 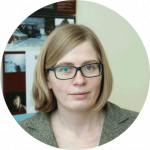 Together with Andres Kimber she is working to develop the study of digital humanities in Estonia. 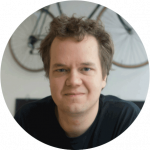 Leader of the VISCERA project (Enabling a Virtuous Cycle of Research in the Humanities), Eetu Mäkelä is developing tools for conducting digital humanities projects and for publishing research interpretations as data for future recycling. His work also includes data mining and the development of human-computer interaction, Artificial Intelligence and user interfaces. 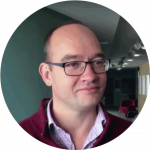 A pioneer of virtual archaeology, Dr Paul Reilly works in the field of creative digital archaeology, which includes data visualization, modelling, 3D-printing and exploration. His current research interests include the relationships between digital embodiments of archaeological knowledge and archaeology in the field. 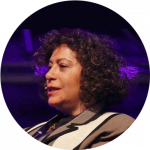 Susan Schreibman’s research ranges from text encoding and the creation of digital scholarly editions, to more recent interests in virtual worlds and data mining. In Irish poetic modernism she has focused on the life and work of the Irish poet, literary and art critic Thomas MacGreevy. 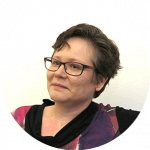 She is also the founding editor off the Versioning Machine, a tool to edit and visualize multiple versions of deeply-encoded text. Liam Wyatt was the world’s first ‘Wikipedian in Residence’ at the British Museum. He has researched the academic lineage of Wikipedia at the University of New South Wales, addressing academic debates on topics such as Truth, Authorship and Freedom. He has also worked with Creative Commons Australia and researched the copyright and digital reproduction of two-dimensional works of art.